I recommend to them that while offering up the ascriptions justly due to Him for such singular deliverances and blessings… they do also fervently implore the interposition of the Almighty hand to heal the wounds of the nation and to restore it, as soon as may be consistent with the divine purposes, to the full enjoyment of peace, harmony, tranquility, and union. On this, our national day of gratitude, we thought it would be appropriate to share some the highlights from this presentation. We are doing this to offer encouragement and hope during these challenging times. 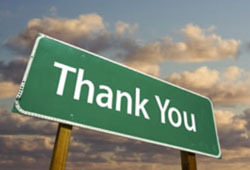 Those in the know define gratitude with one word, Thankfulness. 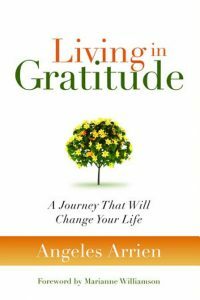 Angeles Arrien, the author of Living in Gratitude: A Journey That Will Change Your Life, believed that blessings, learnings, mercies, and protections are the four portals to a grateful heart. The practice of gratitude bestows many benefits, anger, arrogance, and jealousy melt in its embrace. Fear and defensiveness dissolve. Gratitude diminishes barriers to love and evokes happiness. 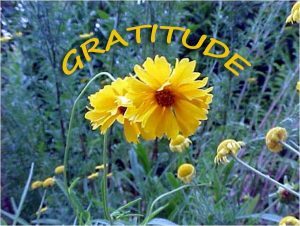 So what is this emancipating virtue called gratitude? These are some examples. 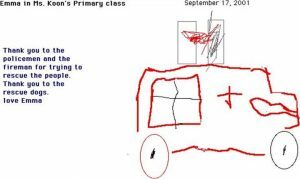 It could be a drawing like the one that came straight from the heart of an elementary school student. This particular expression of gratitude was tacked on a bulletin board in a classroom in a school just a few blocks from the site of the 911 attack on New York city. The words and the image speak to gratitude and its power of healing. Thank you to the policemen and the firemen for trying to rescue the people. Thank you to the rescue dogs. Love Emma. This may surprise you, but gratitude may be a song. 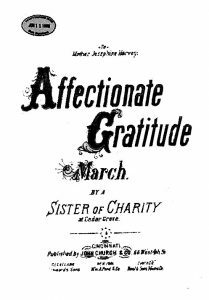 Affectionate Gratitude was written by a Sister of Charity in 1881. It is preserved in the Library of Congress collection Music for the Nation. Equally surprising, gratitude can be a boxcar. Yes, you read it correctly. In 1949, the French government sent a very special gift to the people of the United States. It was called the Merci (Gratitude) Train. It is a unique symbol of gratitude for the $40 million in relief supplies Americans gave to war-torn France and Italy in 1947. The supplies were carried in a 700-car train appropriately named the Friendship Food Train. 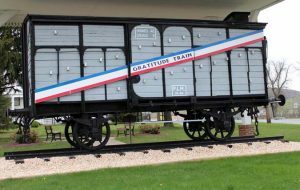 Recently, Kitch and I had the opportunity to see one of those Gratitude box cars at Fort Indiantown Gap. Gratitude is an attitude that is deeply rooted in kindness. To receive kindness and understanding from my neighbors and friends, I have to be kind and understanding to them. There is a mystical connection between gratitude and joy. Gratitude is the foundation for joy. That’s the secret! Until you find and live with gratitude and appreciation, you will never find joy. 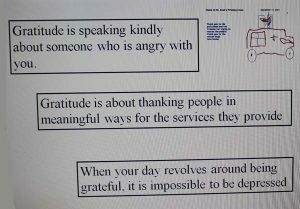 Gratitude is speaking kindly about someone who is angry with you. When your day revolves around being grateful, it is impossible to be depressed. Sometimes the best way to express gratitude is in an old-fashioned, handwritten note to a friend or a loved one. On this Thanksgiving, we’re facing a big medical challenge, but as with all the others, we hold hands and move through it. The sun will be shining on the other side. I’m by your side, and I thank you on this special day for all your love, kindness, and understanding. We hope your Thanksgiving Day was blessed with peace, love and the joy of community with family and friends. May we all renew the Thanksgiving plea of our greatest American President Abraham Lincoln that our county is blessed with peace, harmony, tranquility, and union.